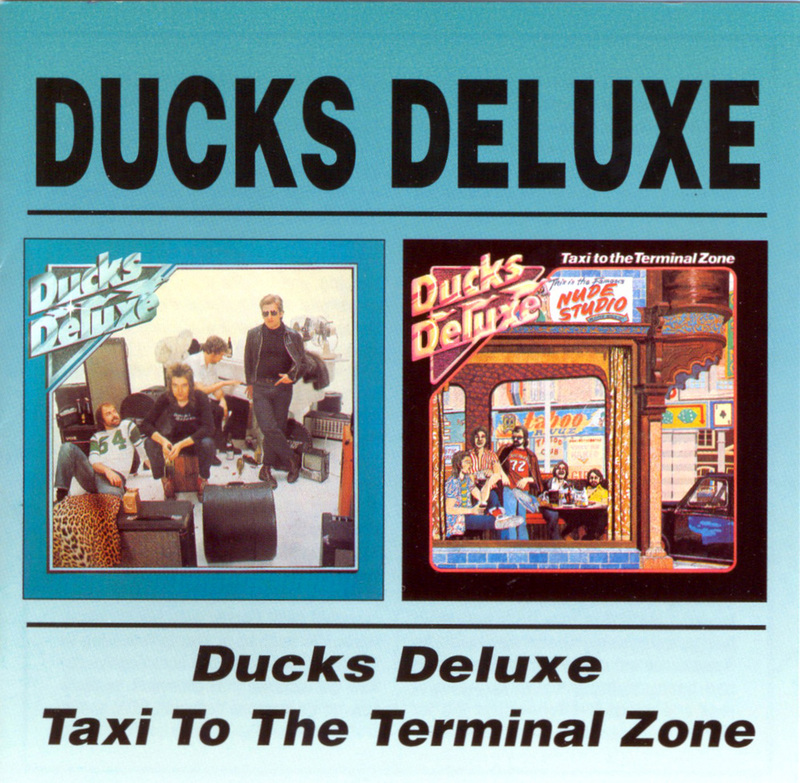 If the old scientific adage is true -- that for every action there is an equal and opposite reaction -- then British pub rockers Ducks Deluxe were purely and simply a reaction. 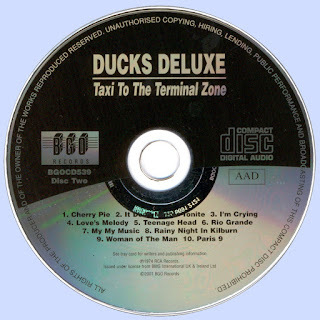 With the mid-'70s English pop scene dominated by glitter/glam rockers like Gary Glitter and Sweet or blustery, chops-heavy art rockers like Yes, Jethro Tull, and Genesis, then Ducks Deluxe represented none of the above. One of the first pub rock bands, the Ducks played basic American-style blues and boogie with remarkable panache and thorough disregard for the whims of the zeitgeist. They never were hugely popular, but the unpretentious, do-it-yourself, working-class attitude they and their contemporaries exuded (most notably seminal pub rockers Dr. Feelgood) influenced the English punk scene that was right around the corner. With friends like Dave Edmunds producing their records, the Ducks (guitarist/vocalist Sean Tyla, guitarist Martin Belmont, bassist Nick Garvey, and keyboardist Andy McMasters) came up with engaging, though not life-changing, records that celebrated the simple joys of rock & roll. Sure, much of it sounds like recycled Chuck Berry, but there's an infectious enthusiasm that the fan in you, who simply wants to hoist a pint of ale and hear some Little Richard, will love. 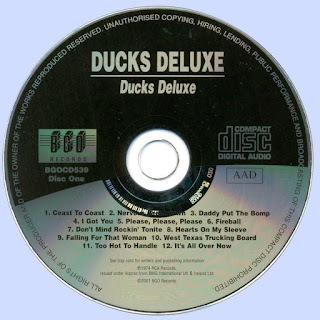 Ironically, their biggest promotional boost in America, the Ducks Deluxe LP was released three years after they'd split up. This little bit of shift marketing came as a result of ex-Ducks going on to more prominent bands like the Motors, the Rumour, and the Tyla Gang. This two-CD reissue of Ducks Deluxe's first two albums differs from the previous Edsel two-on-one release, as no tracks were omitted due to space constraints. In retrospect, these recordings seem more relevant after the passage of time, as they provide a clearer linkage between British blues-based album rock and late-'70s punk and post-punk new wave. In fact, the influences of British pub rock span back to '50s rock & roll and R&B. Their take on Eddie Cochran's "Nervous Breakdown" bears an uncanny resemblance to perhaps his biggest hit, "Summertime Blues." 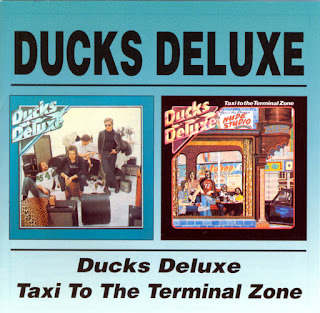 But it's Ducks Deluxe's original pieces that evoke echoes of artists like the Rolling Stones, Them, and Mott the Hoople. "Fireball" sounds like a direct outtake from All the Young Dudes or Mott, while the R&B-rich "Falling for That Woman" suggests Van Morrison at his soulful best. "Rio Grande," from Taxi to the Terminal Zone, wouldn't sound out of place on Bob Dylan's Blood on the Tracks. Conversely, the pub rock forwarded by this band also foretells of sounds yet to come by both their direct offspring the Motors and indirect kin Graham Parker, whose early recordings were on par with the historic debut albums of Elvis Costello and the Clash. "Please, Please, Please" is a direct precursor to the Motors' "Dreaming Your Life Away." Additionally, next-generation bands like the Saw Doctors owe a debt of gratitude to Ducks Deluxe, as they borrowed judiciously from their elders' bold musical stew. But regardless of the multitude of musical influences the listener may cite (and there are too many to mention), this blend of rockabilly, R&B, blues-rock, and country pre-punk known as pub rock continues to stand the test of time.